For this month’s artist spotlight I’m featuring the man responsible for creating Hellboy. Basically a character that helped to establish Dark Horse comics as a legitimate competitor to DC and Marvel comics. Mike Mignola had already established himself as a unique talent in the comics industry prior to creating Hellboy. His stock was on the rise due to his ,one of a kind style that became impossible to mistake for anyone else. Picture Jack Kirby meets Eduardo Risso with 2 parts Bruce Timm & Kevin Knowlan. His anatomy wasn’t perfect and his shadows were often exaggerated, but that was the point. His “ugly” style was, sort of , elegant and wonderful at the same time. His harsh shapes and square jaws were always a much better match when dealing with larger than life characters. Monsters, Batmen and Paradeamons allowed Mignola to flex his muscles. Hellboy took all of those strengths and made him shine. Mignola’s contributions were not only limited to comics. In the 90’s, he worked on Batman T.A.S. and helped to design several characters. Mr Freeze, had an unmistakeable Mike Mignola look to it. His design, in no small part contributed to the successful reboot of the character. Here’s a brief look at some of Mike Mignola’s work throughout the years. From DC & Marvel to Dark Horse comics. This classic Marvel tale is considered, by many to be one of the best Doctor Doom stories of al time. 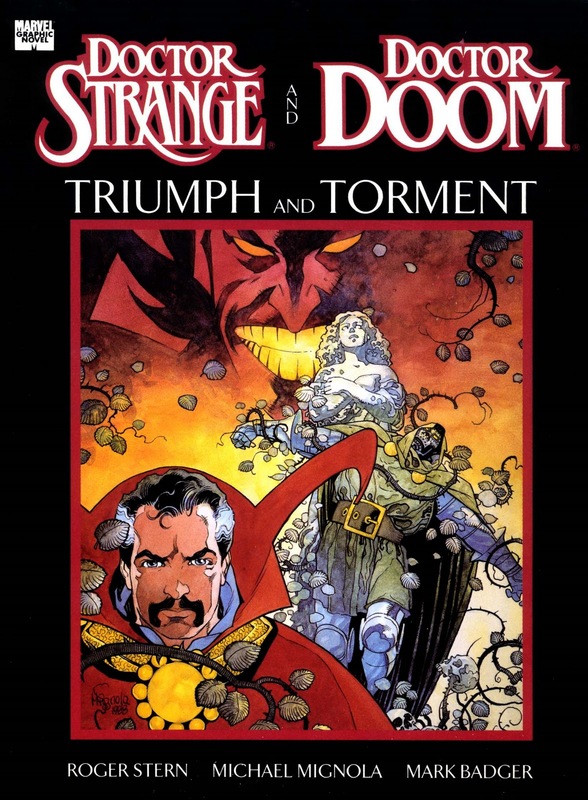 It’s also highly regarded as one of Doctor Strange’s best as well. In this particular story, Doctor Doom enlists the help of Doctor Strange to save his mother’s soul from the clutches of Mephisto. Both men have to journey into Hell itself to do so. It’s a great read and Mignola’s art is tailor made for Hell. His artwork really helps to push the story forward and give a fresh look to those characters. This story was so popular when it came out that it’s been out of print and hard to find for years. Fortunately, Marvel recently reprinted it. It can now be found quite easily for future generations to enjoy. I thought it best to pick an often overlooked Mignola story. 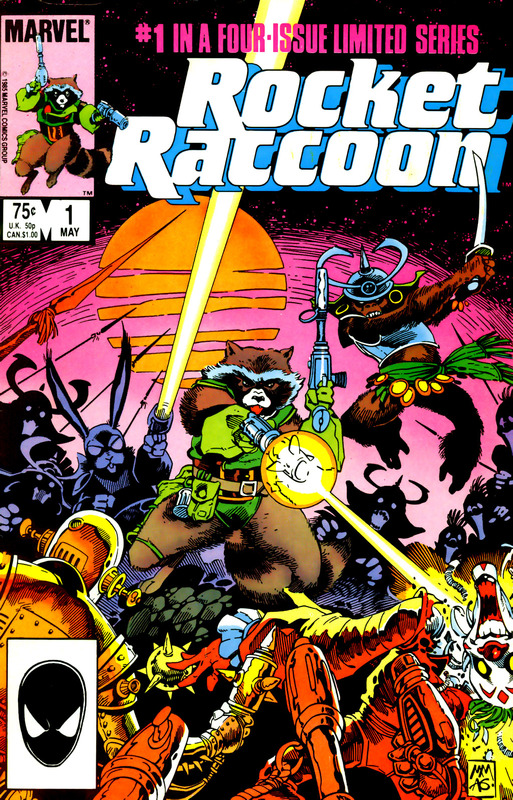 In 1985 Bill Mantlo & Mignola gave Rocket Racoon his first ever solo comic. It managed to give fans a taste of what the character was about well before the Guardians Of The Galaxy film. It’s as zany as Rocket himself. It’s got anthropomorphic animals, killer clowns, other worldly planets, and much more. This is one of Mike Mignola’s earlier efforts, and you can tell. He’s about as conservative as he gets when it comes to his art. It’s still shines where it needs to but it’s not what you would fully expect. It’s still a very cool and novel thing to see how much his work has evolved. Thanks to this story, you can. 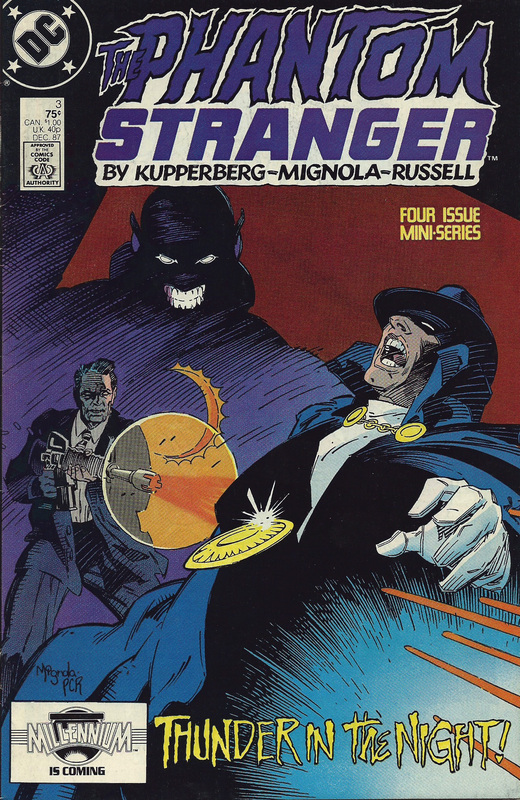 A very cool story featuring the very underrated, Phantom Stranger. Sort of the mystical version of Marvel’s, The Watcher. Doomed to observe and not act. Of course, The Phantom Stranger does bend the rules. “Heart Of A Stranger” could’ve easily have been a Doctor Strange tale. Forces of Darkness? Check. Mystical Villain? Check. Capes and spells? Check. either way it’s a fun romp for a character that doesn’t get much stories of his own. Plus the additon of Gotham City as the forefront location is always interesting. Truth be told , it’s Mignola’s art that makes it memorable story. His style had already been well established by now so any work he did was instantly attractive. His first intro page alone makes you want to turn the page. It’s never been collected as far as I can tell but it should be easy to find. Very cool to look at and a worthy addition for any Mignola completist. Definitely one of my favorites on this list. 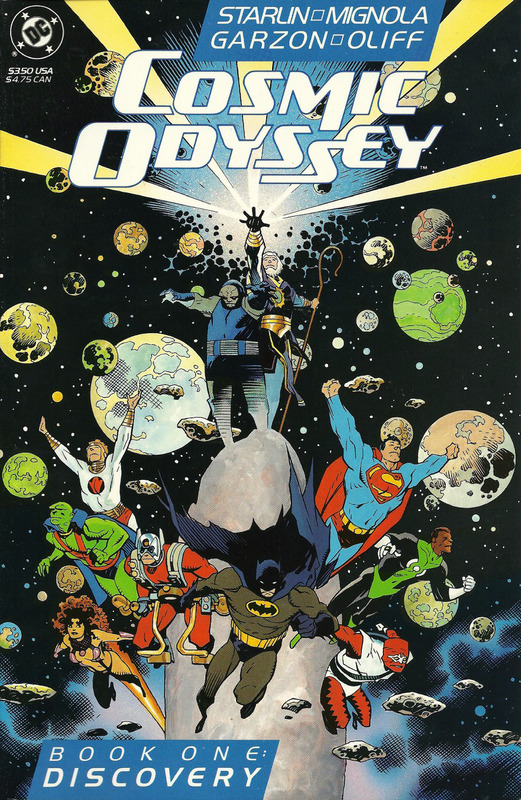 Cosmic Odyssey was one of my first introductions to Mike Mignola’s art. His art being so different at the time, that when I read it, it seemed more ” mature”. Like something that was sure to be big and game changing. That turned out to be sort of true. Particularly true for Green Lanter: John Stewart. This comic is a classic , end of the universe tale. It’s got a major assortment of DC characters. This being said, I found it exciting to see Mignola’s interpretations of characters like Superman, The Demon, Batman, The New Gods and especially Darkseid. Jim Starlin is famous for stories like The Infinity Gauntlet and for his redefining of Thanos. Starlin penned this tale during the height of his popularity, so he was in rare form. It’s been universally praised as some of Mignola’s finest work with DC. Probably Mike Mignola’s most popular work outside of Hellboy. It has the distinction of being DC’s first ever Elseworld’s publication. These were stories told outside the regular DC universe. Sort of like, a better version of Marvel’s ” What If?” Stories. 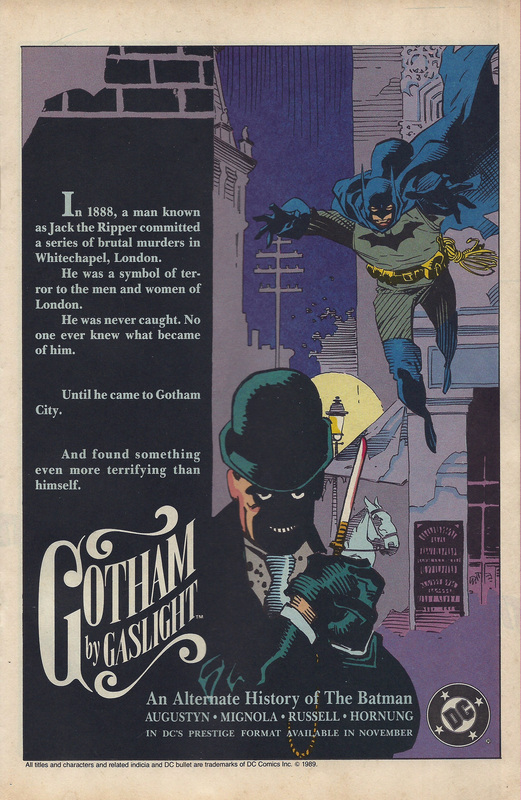 While, “Cosmic Odyssey” was my first exposure to Mike Mignola’s interior art, ” Gotham By Gaslight” was my first exposure to his art… Sort of. I remember seeing the ad for the series in one of monthly books I was reading at the time. Check it out here. What an ad! Sure enough, I picked it up and it didn’t disappoint. A new look Batman was created for a very different time and Mignola relished the chance to let loose. 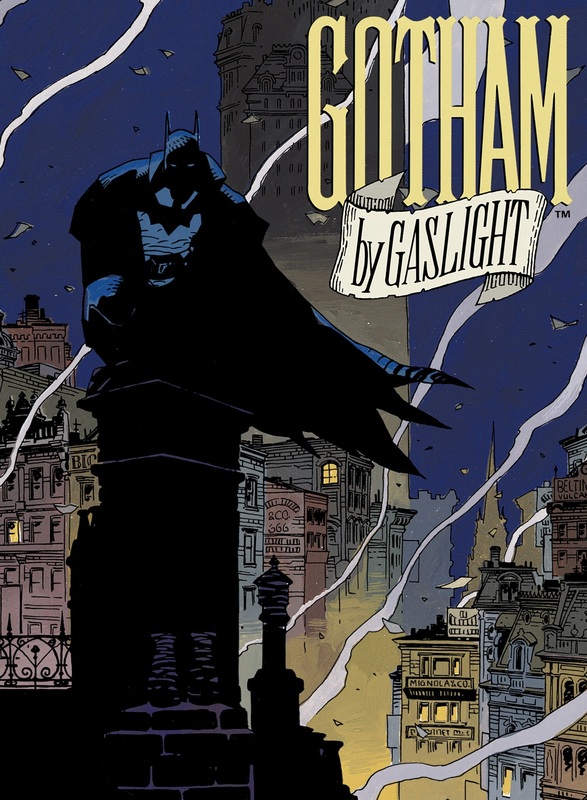 The man clearly has an admiration for the character and it showed, Gotham By Gaslight is constantly rated as one of the best Elseworld tales by fans, in no small part, due to Mignola’s stunning art. The man needs to draw Batman more! For my final installment we reach the pinnacle of Mignola’s success. Hellboy. A labour of love and a creation owned by Mignola, himself. There have been several stories over the years. So many good ones that it’s really a disservice to showcase one of them only. The beauty of Hellboy is that all the stories are a series of short form mini series, or one shots. This means that you can jump in at any time and enjoy the read. Many times, the long form, ongoing comic turns off many potential fans. It can be daunting and confusing to jump in the middle of , what might be, a huge story line. No such problem for Hellboy. Mignola’s best work is, undoubtably with Hellboy. He is the creative force behind, mostly every aspect. Therefore, he knows his strengths when he plots a story. If anything, his method and style has improved thanks to Hellboy. It also turned out that, Mike Mignola could write. 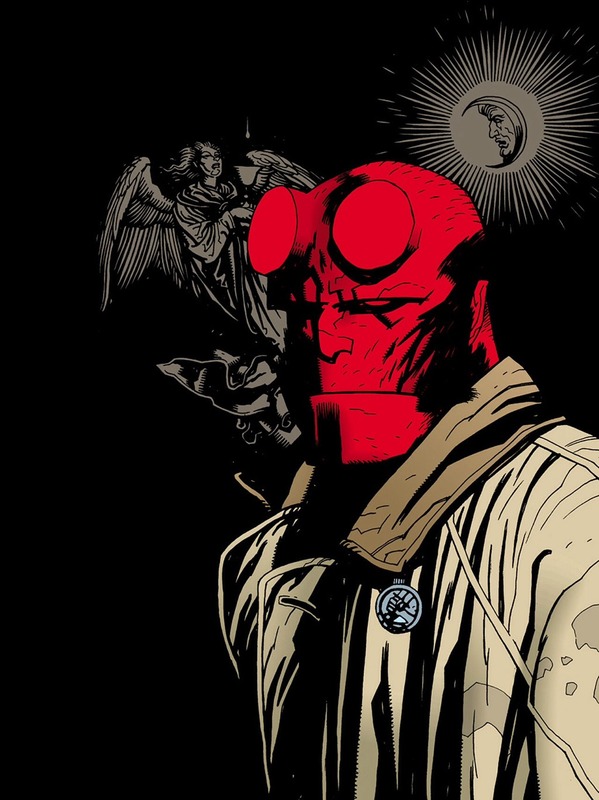 Hellboy, to this day, is one of the most consistently well reviewed comic series. So much so, that Hollywood took notice and brought Hellboy to life on the big screen. This led to a sequel and a few animated movies. So go to your local comic shop, pick a story and dive right in!